WHAT: Wisconsin Public Radio Eau Claire bureau reporter and host of topical call-in show The West Side (10am Mondays on 88.3 WHWC-FM and 88.7 WRFW-FM). IN THE VALLEY FOR: About four years. You may not know Rich Kremer’s face, but if you’re a Wisconsin Public Radio listener, you undoubtedly know his voice. 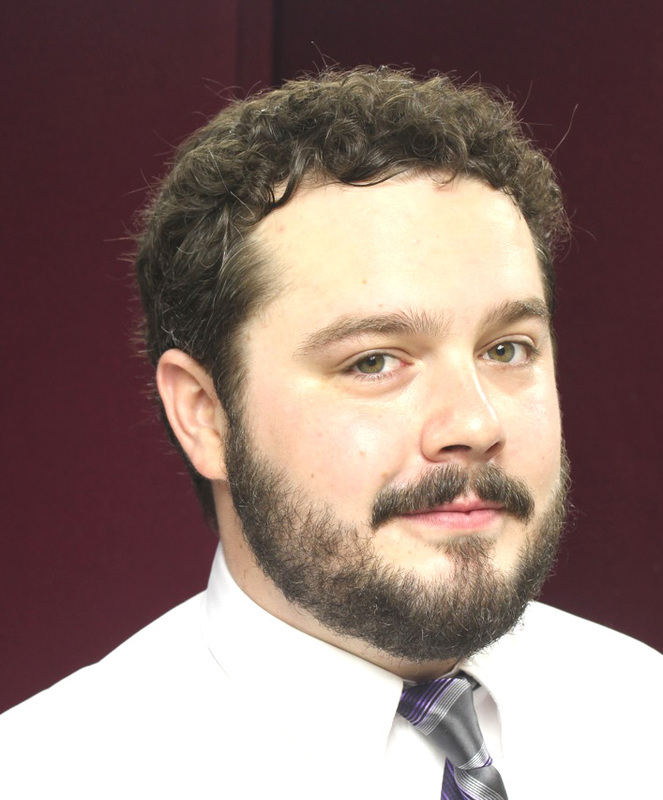 Rich, a native of Superior, came to the Chippewa Valley in 2010 to host The West Side and report on regional news after getting a journalism degree at UW-Superior and working the mic in Shawano. He was hooked on radio by the late Mike Simonson, a WPR fixture for 24 years, and he counts Simonson as an inspiration alongside broadcasting greats such as Edward R. Murrow and Walter Cronkite and contemporary public radio stars Ira Glass and Garrison Keillor. Rich talked to us about karaoke, chicken bingo, and what really gets the call-in show phones ringing. What place in town considers you a “regular”? I guess they could call me a Wednesday/Thursday night, off-and-on regular at O’Leary’s Pub. That’s when karaoke is on. Hardly anyone sings and even fewer people pay attention to the stage. It’s a perfect place to hog the mic. What is one of the best cultural experiences you’ve ever had in the Chippewa Valley? Watching trombonist Andy Martin play “Caravan” with the backing of UW-Eau Claire’s phenomenal Jazz I. It was my first time seeing a night of amazing musicians truly knock it out of the park. After they finished the song it took all I had to keep from jumping on my seat and losing my voice. Then, after cruising the offerings of the 52nd Street celebration on Barstow (Street), I went home with a new pride and appreciation of all of the musical talent this city and region has to offer. What frustrates you the most about the Chippewa Valley? The fact that most of my favorite delivery places close around 9pm or 10pm took a little getting used to. What’s the strangest news story you’ve had to report on in your career? In the small town of Clintonville in northeastern Wisconsin I did an audio-rich feature story about a fundraising game called chicken bingo. Inside a large cage was a typical bingo board. People would buy numbers for something like $2 a square. Then an overfed chicken was dropped into the cage. Everyone leaned in and watched with rapt attention until … I think you get the picture. Whoever had the freshly soiled square won a prize and all the money went to charity. I didn’t have to report on it but I felt compelled. It was a real coup. You host a call-in show. Is there a particular topic or guest that you know will light up the phones? Any time I do a program about frac sand mining in western Wisconsin we have people calling in 10-15 minutes before we even start. Most times people are willing to wait 45 minutes on hold before getting their question or comment in. Which public radio icon would win in a rap battle, Garrison Keillor or Ira Glass? It depends what your definition of “win” is. I think Glass would have the upper hand by being a little younger and perhaps more “hip” but either way I wouldn’t have high hopes for the end result. What’s your favorite local festival? I’d have to go with Jazz Fest, but Chalkfest is a close second. What is your favorite piece of local trivia? I’m still learning about local history but I love the story of Old Abe. Prior to moving here I had never heard about it, which made the giant eagle sculpture on Memorial High School all the more confusing. But after learning the history and lore I was especially surprised to learn that Old Abe was female. Death bed, one meal from a local restaurant, what would it be? Ray’s Place Hot Ham Sandwich with extra house mustard and a bowl of bean soup. Water Street or Downtown? Downtown. I feel too old for Water Street unless I stop by The Joynt. South side or north side? South side. What book, TV show, or movie would you recommend to other members of the school board? Parks and Recreation. If you could rename Eau Claire with a different French name, what would it be? Collision Rivières: Colliding Rivers. Thanks, Google Translate.